Often referred to simply as Ophrys cretensis this inconspicuous plant is hard to spot. Growing to a maximum of 50cm, but more commonly around the 20cm mark, the drab colouring of this orchid is perfect camouflage. Each infloresence carries up to 11 small flowers which have green sepals and petals. 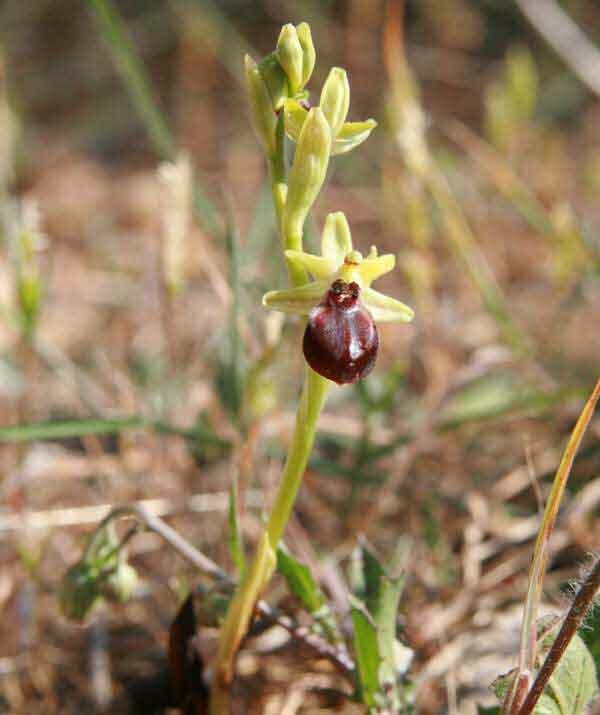 The flower lip bears a speculum in the H-shape which denotes its close relationship to Ophrys sphegodes - Early Spider Orchid. 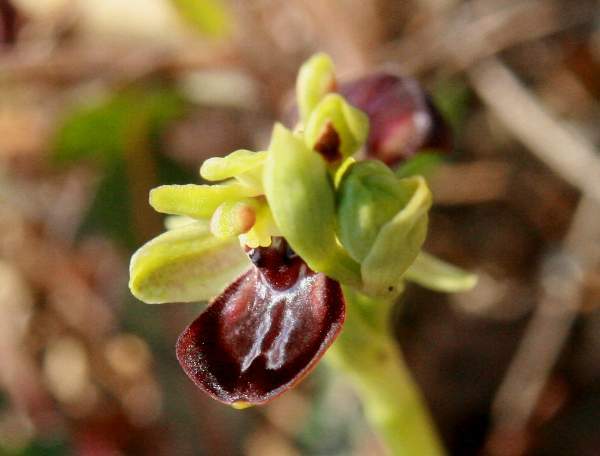 Ophrys cretensis grows in Crete and other southern Agean islands. It is endemic to the islands and is both rare and localised. Ophrys cretensis grows in dry-to-moist calcareous substrate in full sun or mid-shade in phrygana, short grassland and open woodland. This orchid flowers from mid-February until the beginning of April. The plants on this page were photographed near Heraklion on the northern coast of Crete in early April.